Hey, Robin, just wanted to inform you that you’ve got your Italian geography slightly mixed up. Calabria is the toe of the boot. The heel is Salento. Hi Robin, would you happen to know of any other links, besides that Wikipedia one? The flight of the Byzantines & the name change sounds interesting & I wouldn’t mind reading up on the subject a bit more… Keep up the great work, It’s getting better with each episode! @Steven I’m not sure I can point you toward something very satisfying. The basic details I got came from Warren Treadgold’s “A History of the Byzantine State and Society.” He says that the name change stuck in part because of the administrative description of the area. The man in charge of the heel and toe at the time would have been called the Duke of Calabria. So even though he lost large parts of actual Calabria to the Lombards the title stuck and administratively remained the Ducate of Calabria. Over time those living in the toe came to accept the name change. Sadly because of the peripheral nature of Italy to the Empire there is no history written about outposts such as these. Treadgold’s bibliography lists “L’Italia Byzantina” by Guillou and Burgarella as the best book on Italy but you’d have to see if there was an English translation. It’s likely to be a scholarly text and not a narrative one. I did read the The Oxford Illustrated History of Italy at one point but I doubt it dealt with such a small incident. I’m afraid a lot of history is like this. Small fragments which help build a larger picture but which we don’t know more about. I just saw these mosaics two days ago, and now, a new episode of the podcast? Too good to be true! Also, the rest of the church happens to be quite marvellous. Has this show improved your life, change your values, or set you straight? @Kevin – good to know. @Harrold/Peter (I know it’s the same person). If either of those questions are serious then could you rephrase them because I’m happy to answer them if you meant them. Absolutely wonderful so far. 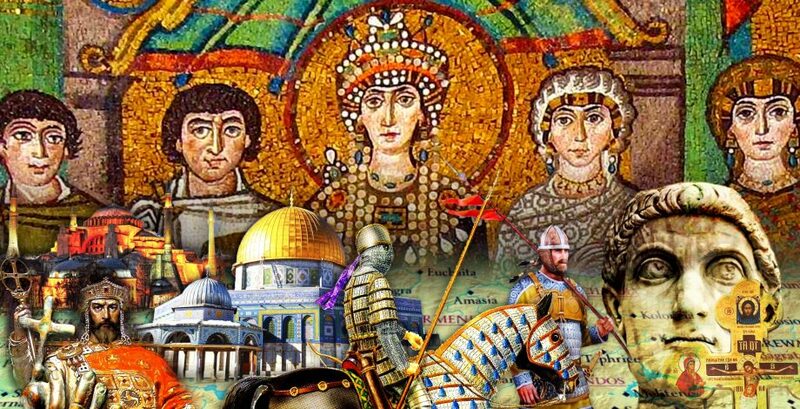 Bulgar – Byzantine relations are one of the most interesting phases of this period! Can’t wait to keep hearing more! I made a comment a while back regarding the high quality of this series thus far and am pleased to see that it just keeps getting better. I’m excited to see where you take us all on this fantastic journey! Great episode! Also started trying out the Bulgarian History podcast that was mentioned here! The first few episodes have been great do far. I’m always looking for good history podcasts. 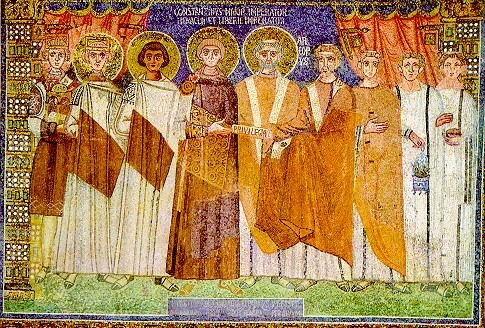 I realize you may be already planning to cover this under Justinian II, but if not, would it be possible to elaborate somewhat on the Byzantine presence in the Crimea during this period? I keep noticing that little foothold on the maps of the empire. Is this a site you use? 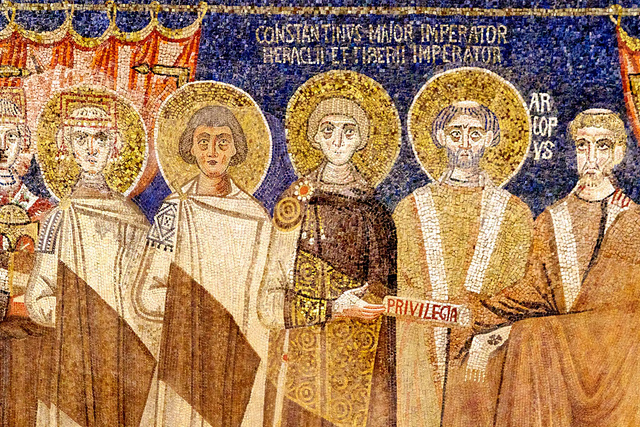 If you and my fellow listeners aren’t aware of it, I’ve been enjoying the cryforbyzantium twitter feed – tweets in the character of each byzantine emperor that progress chronologically through history. A nice light take on the main events. Exciting to have this introduction to new players on the Byzantine stage!